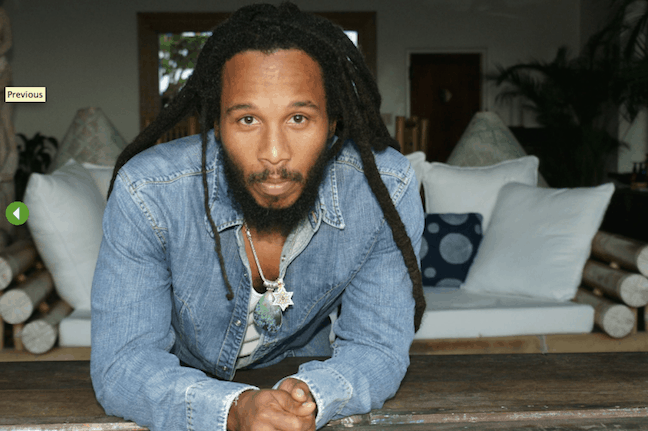 The first time I interviewed Ziggy Marley was 20 years ago, when we were both 26. 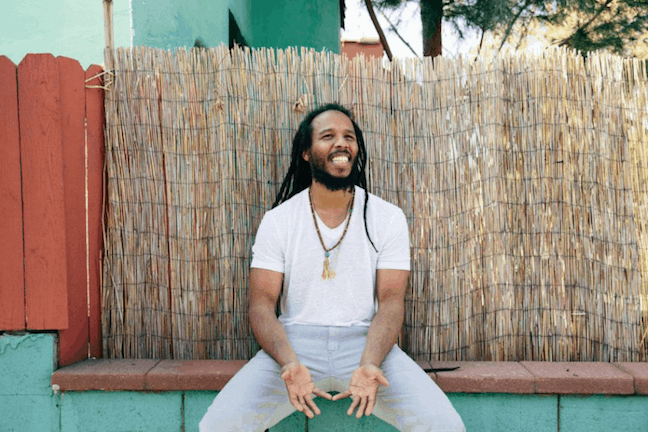 He was touring behind Joy & Blues, his fourth album with the Melody Makers (working alongside siblings Cedella, Stephen and Sharon Marley). I was in my second year as a music journalist, just dipping my toes into the waters of celebrity interviews. As a huge Bob Marley fan I was in awe, sitting on a sofa, shrouded in smoke, literally surrounded by his offspring. Ziggy has done a lot over the past two decades. His political activism led to work with the United Nations. 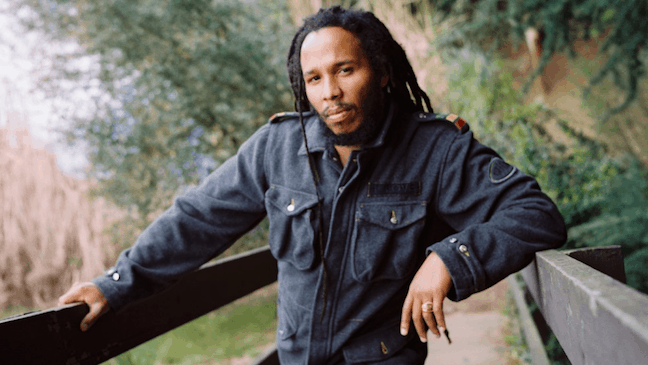 He and his family launched the Ghetto Youths Crew and Tuff Gong Worldwide (a spin-off of Bob’s Tuff Gong International) record labels. He won five Grammy Awards and a Daytime Emmy Award. He released a pro-marijuana song in support of California’s Proposition 19 initiative to legalize recreational marijuana, and a comic book called Marijuanaman. 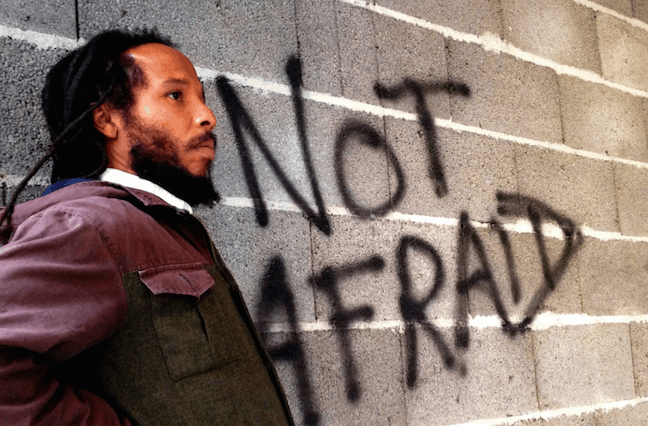 And he recently released his fifth solo album, Fly Rasta. When I talked to Ziggy back in 1994, I was struck by how humble, down-to-earth and affable he was. During our conversation 20 years later, I realized he hasn’t changed a bit. Here are the highlights of our chat, which ranged from his endlessly positive attitude and love of nature to ecotourism in Jamaica and the legalization of marijuana in two U.S. states. I’ve always admired the positive attitude that seems to come through in everything you do. Where does that positivity come from, and how do you keep it going? Positivity comes from experiences of negativity, and the ability for us as human beings to overcome negativity and triumph over it. That’s where the positivity comes from– the resolve of human spirit to overcome the difficulties we face. We’ve talked in the past about your love of nature, and how it grounds and heals you. Can you talk about your connection with nature? I feel like nature is a medicine for me. Being in the ocean, around trees or just in the garden is like a stress-relief medicine for me. How did your childhood in Jamaica, and the natural beauty you saw there, impact you? When I was young, we had a garden where we grew fruits and vegetables, and we raised sheep and goats. As a result, I always feel connected to the animals and just being around the woods. I always had a vivid imagination, and I would spend a lot of time out in nature by myself, losing myself in these bushes. Who I am today has a lot to do with those years I spent in that state. When you started traveling the world, did you gain a greater appreciation for Jamaica’s natural beauty? Everywhere I go, I see nature. I stopped differentiating the nature in Jamaica from the nature in America, or from the nature in Europe. To me it is all one organism– the sky, the sun, the trees and the ocean. I love it all. If anything, my experiences growing up in Jamaica have made me become even more open to nature in the rest of the world. We’re frequent travelers, and have been to Jamaica several times. 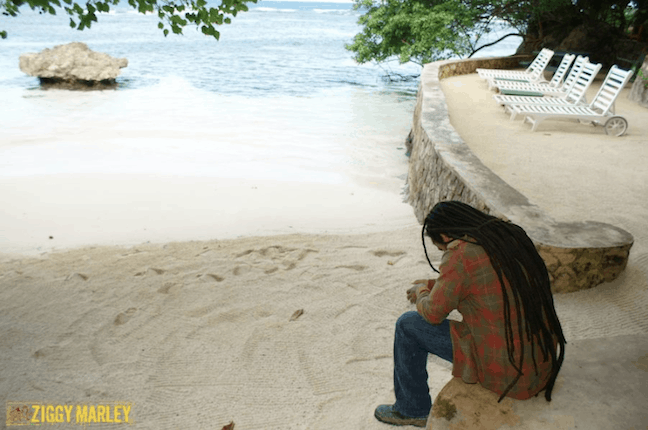 What would you recommend to people visiting Jamaica for the first time? Get outside of the hotels and go out into the countryside to meet the people. Jamaica is a beautiful place. We still have a lot of nature, and haven’t destroyed it in the countryside. There is a lot of green. When I was there last, my eyes were filled with green. It was really like medicine for my eyes. The Blue Mountains are very picturesque. It’s like a different world when you go up there. Let’s talk about music. How do you view the evolution of reggae since your dad started out with the Wailers back in the early 1960s? 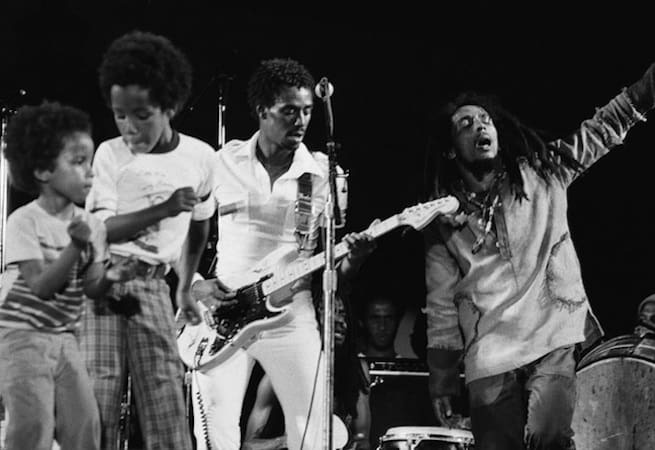 The evolution of the music is really about the evolution of the individuals who are creating the music.The generation of my father and guys like Burning Spear was very connected to a spiritual idea, Rastafarianism. There was almost a religious element to what they were doing. The next generation that came up behind them was not as tuned-in to that element. They were more tuned-in to the material, sexual and selfish side of things. I’m not blaming them, or saying negative things about them. It was just a shift in the generation. The continuation of the music in the future will depend on the individuals who become artists. Are they open-minded, closed-minded, spiritual, physical, materialistic or artificial? How would you describe your personal musical evolution, from “Tomorrow People” to Fly Rasta? One thing I noticed that I didn’t realize until these later years isn that Love has always been in my songs. On “Tomorrow People” there was a phrase where I sang, “If there’s no love in your heart then there’s no hope for you.” Love has always been very important to me, but I’m actually just realizing it now. It’s the type of love that is not individual, but universal– love as the most fundamental thing in life, for the progress of the planet and the people. That has not changed about what I do. I still sing about love. What has changed is my perspective. Many years ago in Jamaica, I was trying to be more political and speak of social injustices. After a while I decided to focus more on the emotional and spiritual side of people instead of the socio-economic side of things. I think the solution to the problems we face is something that lies within us. The economic, social and political stuff of revolutions has been happening forever. The world hasn’t benefited much from it. The state of the world isn’t much better now than it was before. The perfect example, in terms of my state of mind, was a new song I wrote called “Personal Revolution.” That’s a statement about the evolution of how I think about revolution now. Revolution becomes something that is not about socio-economic or political injustice, but about changing the individual within us. The personal revolution must be the catalyst. Can you talk a little bit about the Urge Foundation (Unlimited Resources Giving Enlightenment) you founded, and what you’re trying to do with it? The only way we effect the changes the world wants to see is by affecting the children. Adults are too set in their ways, and the direction of the world in general in terms of politics and wars. We find that it is not changing. The adults who have the power to make a big impact on the world do not have the will to change this world. The important thing for us is to plant a seed in children for a better world and give them the tools not to make the same mistakes we have made. U.R.G.E acts to support education, health and the environment, in an effort to improve the communities where children live and grow. The more we can give to them, the more enlightened we can become. What are your thoughts on the U.S. legalizing marijuana in Colorado and Washington? Making ganja illegal is like making the truth illegal. The truth was demonized, criticized and criminalized. Finally, they have decided to set the truth free. Once everyone realizes the truth, the whole world can legalize the truth. Do you have any specific goals for your future?